Happy New Year, YA pals! If you’ve read FANGIRL, you know all about Simon and Baz, the main characters in Cath’s fan-fiction. 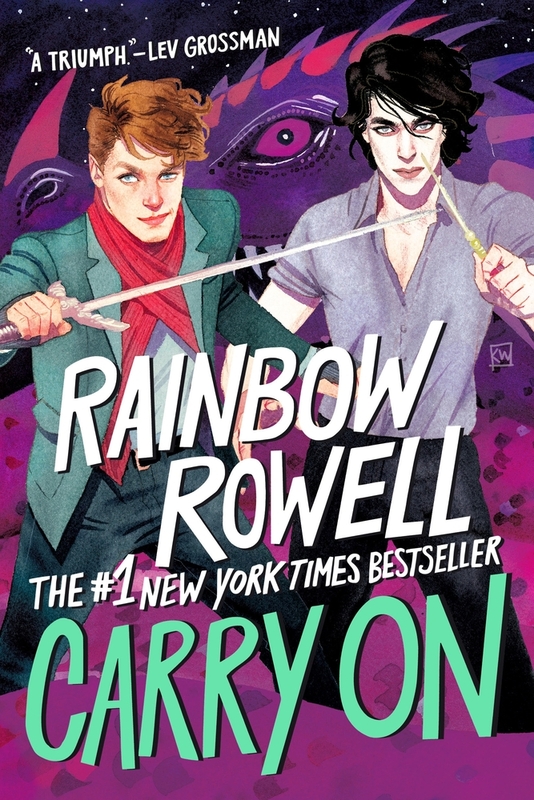 In CARRY ON, YA Queen Rainbow Rowell gives Simon and Baz an entire novel of magic, intrigue, and LOTS of moody staring. Simon is entering his final year at Watford School of Magicks. But, let’s briefly recap his previous six: Simon is deemed The Chosen One and is forced to defeat the Insidious Humdrum—a villian that is nearly identical to an 11-year-old version of himself. Yikes!